On October 3, 2014 Gov. Jerry Brown announced appointment of an interim director of California’s Civil Rights Agency after accepting Phyllis Cheng’s resignation. 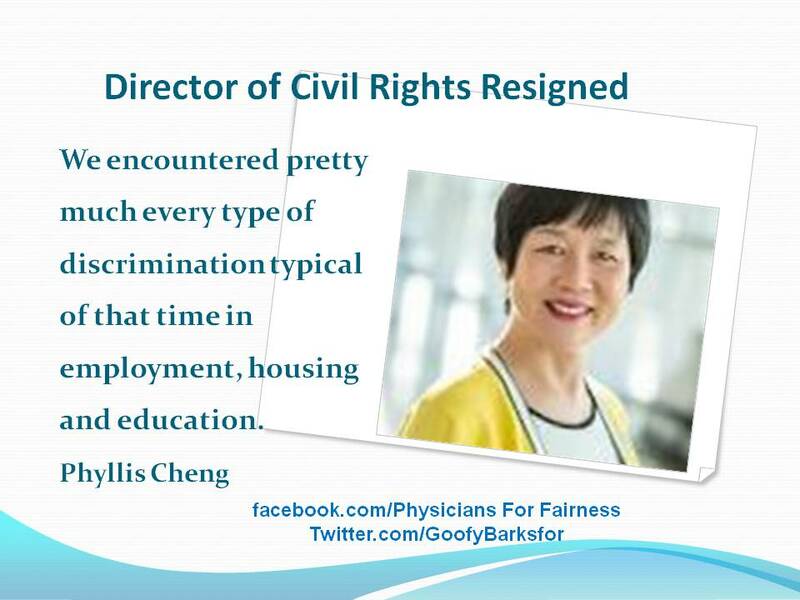 Phyllis W. Cheng was Director of the California Department of Fair Employment and Housing (DFEH). She was appointed in January 2008 by Governor Arnold Schwarzenegger, and was retained by Governor Brown. The announcement of Ms. Cheng’s Resignation and appointment of an interim Director came on October 3. On October 6, 2014 Ms. Cheng announced to join a law firm DLA Piper in Los Angeles. The rumors of her resignation circulated for a while. On Dec 10, 2013, California’s Civil Rights agency (aka Department of Fair Employment and House (DFEH) held a Council meeting at the State Capitol. In that meeting, DFEH Council issued a Civil Rights award to Gov. Jerry Brown. Dr. Sheikh again requested the Civil Rights Agency to restore her Civil Rights such as Right to work. Dr. Sheikh completed her medical residency but she could not practice Medicine as California Medical Board would not issue her the license. The laws mandate that a qualified doctor cannot practice his/her profession without a license. The County Hospital also took Dr. Sheikh’s home by police force and yet filed a second lawsuit to take possession of the same home. Dr. Sheikh followed up with Ms. Cheng during her visit to San Joaquin County. 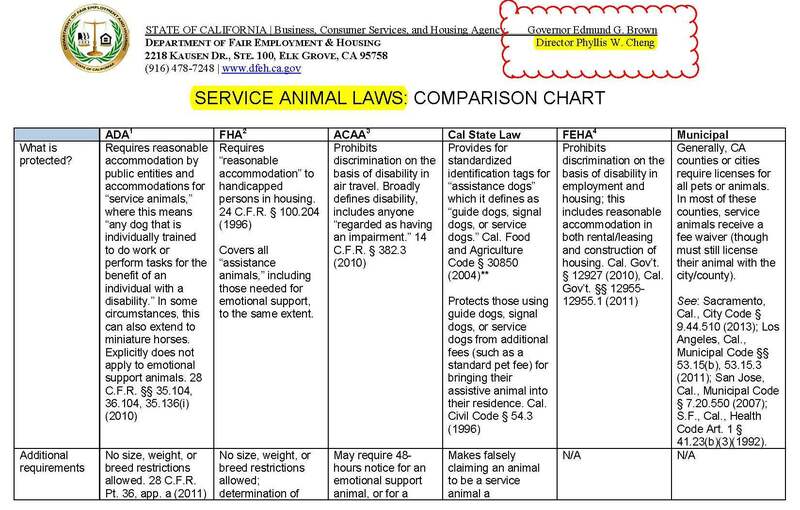 Here is a complete chart that was prepared on Laws for Dogs. Following the auspicious timing of her entry into the world, 10 years later, Cheng left Hong Kong with her mother, who had fled from Communist rule in China. The two immigrated to the United States during the Kennedy administration. Ms. Cheng successfully settled a lawsuit against LSAC. A multimillion-dollar settlement levels the playing field for individuals with disabilities in law school admissions and provides for compensation to victims of discrimination and changes in LSAC’s policies or practices. On May 29, 2014, United States District Court Judge Edward M. Chen entered a Permanent Injunction forever banning LSAC from annotating or “flagging” the LSAT scores of test takers who took the examination with the accommodation of additional test time. In the past, LSAC had reported the scores of those test takers and identified that the test taker was an individual with a disability, that the test had been taken under non standard conditions and that the test scores had to be viewed with great sensitivity. In addition the Judge today gave court approval to the 61-page Consent Decree with extensive provisions and revisions to LSAC’s practices regarding testing accommodations and which provides for $8.73 million in monetary relief.